Some very well know teachers in children’s literature, Miss Bindergarten, Miss Nelson, Miss Viola Swamp, and Miss Rumphius were celebrated on Miss America day HERE. 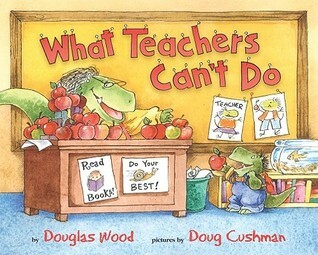 Today, I have a few other pretty great picture books about what teachers do and what teachers can’t do. Check these out. This is a fun and easy way to look at teachers and learn more about what they do. 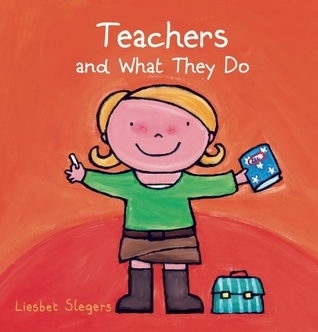 The author compares what a teacher does with what the students do in lower and upper grades. This is a funny look at what teachers can’t do, including solve simple math problems, read little words, or ride skateboards to school. They can’t buy their own apples or sit in little chairs. And they can’t see out of the backs of their heads, can they? That’s because they are so busy teaching you! 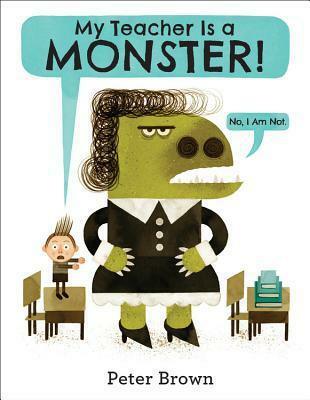 This is one of my new favorite picture books about teachers.